A Lansdowne man allegedly took part in atrocities during a decade-long civil war in the west African country of Liberia under the psuedonym "Jungle Jabbah." NBC10 Investigators: Is Delco Businessman a War Criminal? Is a Delaware County businessman also the African war criminal known as "Jungle Jabbah?" 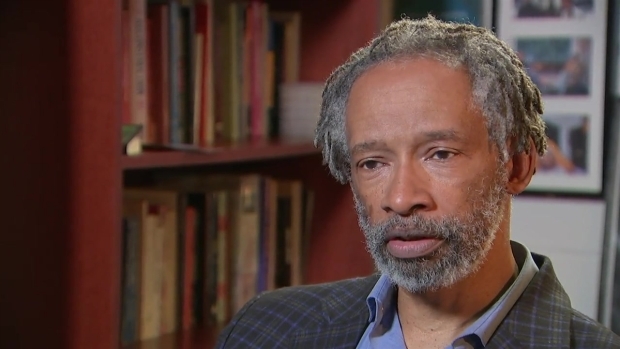 NBC10 investigative reporter George Spencer looks into the allegations against him. Have you ever engaged in genocide? It's a pretty straightforward question, one that comes with only two answers, and one that is asked of immigrants who seek permanent residence in the United States. A Delaware County, Pennsylvania, businessman named Mohammed Jabateh allegedly lied when answering "no" to that question in 2002. Jabateh, federal prosecutors allege, actually took part in atrocities during a decade-long civil war in the west African country of Liberia. At the time, prosecutors say he was known as "Jungle Jabbah," a feared commander in one of two warring military factions in the late 1980s and 1990s. The now 50-year-old owner of a shipping company, who lives in Lansdowne, went on trial at the federal courthouse in Philadelphia on Oct. 2 to face two counts of filing false immigration documents and two counts of perjury. Each count comes with up to five years in prison and deportation. Mohammed "Jungle Jabbah" Jabateh, an asylum-seeker from Liberia living in Delaware County, is shown in this undated photo. A long list of witnesses are expected for both the U.S. Attorney's office and in Jabateh's defense. In his new life since coming to America in 1998, seeking asylum, some in greater Philadelphia's close-knit Liberian community know Jabateh as a hard-working businessman. They had no idea that he was a man that prosecutors now link to the bloody war that left 200,000 dead and many thousands more maimed, raped and displaced. Liberian fighters loyal to Roosevelt Johnson's ULIMO-J faction battle in the back yards of the diplomatic area of the capital, Monrovia, Thursday May 23, 1996. Witnesses that prosecutors are expected to call, however, paint the picture of a military leader hellbent on not only killing his enemies, but torturing them. One witness, according to court documents, recalled Jabateh allegedly ordering tires placed around prisoners. He then ordered his men to douse the tires in gasoline. "The prisoners of war burned to death," the documents say. Another witness will recount the painful death of a friend named Jaffo. "Jaffo was a light-skinned black youth whom Jabbateh ordered to be sacrificed," documents allege. "To this end, a [United Liberation Movement of Liberia for Democracy] soldier, on Jabbetah's orders, slit Jaffo's throat." The backdrop for such violence was a country divided by both military coups and ethnic hatred. "Chaos is too kind a word," said Maghan Keita, professor of history at Villanova University. He said very few Liberians escaped the war either as an aggressor or victim. Battlefields didn't exist and the brutality played on in villages and towns. “The main target becomes the coercion of civilian populations, as opposed to engagement with other combatants who are as heavily armed as you are," Keita said. Maghan Keita, a professor of history at Villanova University, talks to NBC10 about those who fought in wars will always have their past following closely behind. Jabateh has been jailed since his arrest in April 2016. Among those American Liberians who know Jabateh since his arrival in the U.S. in 1998 is a cousin and fellow businessman named Voffee Jabateh, who called Mohammed Jabateh "a pillar" of the local community. "I got to know Mohammed here, as a family man," Voffee Jabateh said. Mohammed Jabateh's attorney, Greg Pagano, told NBC10 that Jabateh is "peaceful, deeply religious, and he is intensely loyal to the United States of America." 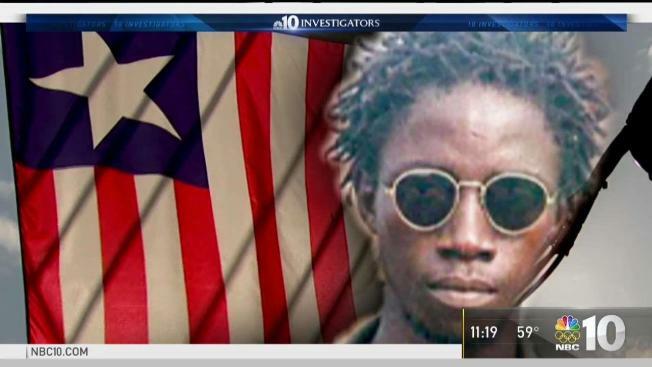 John Prall, another Liberian who escaped to southeastern Pennsylvania, will be watching the trial closely. He hopes it is a start, not an end, to the pursuit of justice for victims of his native country's civil war. Prall believes there are more than one former warlord living in his community. "There are so many here," he said. "There are so many." 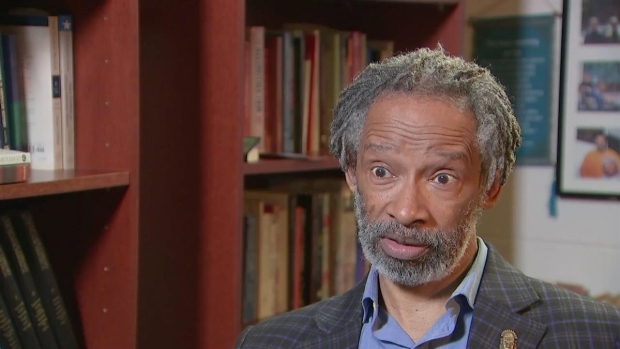 Maghan Keita, a professor of history at Villanova University, talked with NBC10 about immigrants who flee their native country and remake their lives in a new place.